Like many people, you may feel that your good health means you shouldn’t have to plan for long-term care. The trouble with that thinking is your health status can change, especially 20 years from now. None of us can predict how healthy we will be in the future. 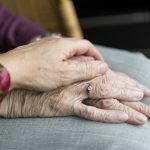 Statistically speaking, at least two-thirds of individuals over the age of 65 will require some form of long-term care at some point. 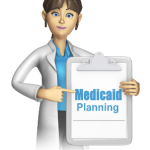 Ultimately, even if you are healthy now, you still need to consider Medicaid planning. What many people don’t think about is the fact that the need for long-term care is not only brought about because of illness. Nor does it only provide medical treatment. You could suffer a catastrophic injury as the result of a car accident which could mean you will need long-term care of some type. Some people need long-term care simply because they need assistance with their daily activities, like grooming and dressing. It is unfortunate, but some people miscalculate the real cost of long-term care, which is usually very expensive. The average annual cost of long-term care in California is close to $100,000. Consider also that nearly half of people 65 and older need long-term care for close to five years. 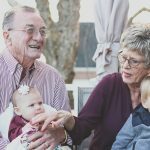 Many people have the mistaken impression that Medicare and private health insurance are sufficient to cover the expense of long-term care. In reality, these financial resources very rarely cover those costs. 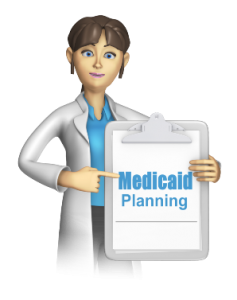 How can Medicaid planning help you be prepared? Medicaid benefits are meant to help low-income individuals pay for medical services. Because Medicaid is a needs-based benefits program, to be eligible you must have no more than $2,000 in assets. Even though certain assets, like your home, are excluded, it is still very easy to deplete your savings before Medicaid will begin covering your long-term care expenses. However, the goal of Medicaid planning is to keep you from exhausting all of your resources, while still being eligible for benefits. Contrary to what some people think, you are not allowed to transfer your assets to someone else, in order to reduce your assets and qualify for Medicaid. Medicaid is a “payer of last resort.” That means Medicaid does not start paying for long-term care until all other payment sources have been exhausted. 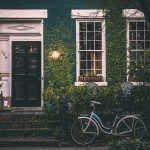 Therefore, if an applicant for Medicaid gives away property or assets just before applying, those property transfers may result in your benefits being delayed or denied. But, with careful Medicaid planning, you can still maintain control of your assets while qualifying for Medicaid benefits, when necessary. Another way to deal with the fact that a Medicaid Trust is irrevocable is to make use of the income from the trust, to which you are entitled to for your lifetime. You can also make that income accessible to your spouse. Another option is directing how gifts from the principal are distributed to your children. The only restriction is that distributions from the principal cannot be made directly to you. Otherwise, your children are free to use their distributions in any way they choose, including spending them on you. A Medicaid trust offers the same asset protection as any other type of irrevocable trust. 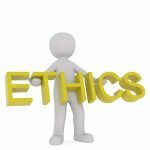 However, it has a few disadvantages that other irrevocable trusts do not. 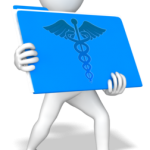 With a Medicaid Trust, the grantor is prohibited from using the trust assets for other healthcare purposes. The limits on income are also a disadvantage.